For the last 66 years, Festival del Film has been probably the most recognised platform for new and emerging talent in the world of cinema. The festival, which draws nearly 8,000 people every year, has been instrumental in shaping the careers of moviemakers like Spike Lee and Stanley Kubrick. If you're among those who like inspiring cinema and are eager to check out the works of tomorrow's mavericks, Locarno is the place to head this month. For more, visit pardo.ch. Music lovers, rejoice! Sziget Festival, one of the largest music fests in Europe, is back with another edition that features over 1,000 different performers and caters to all genres of music, from electronica to pop. This week-long party sees close to 70,000 fans thronging the venue. Want to be one of them? Visit szigetfestival.com. Love your stout and lager? Then you'd certainly want to attend The Great British Beer Festival. With 900 real ales, perries and foreign beers to taste, and over 66,000 happy drunks to party with, there's enjoyment aplenty. 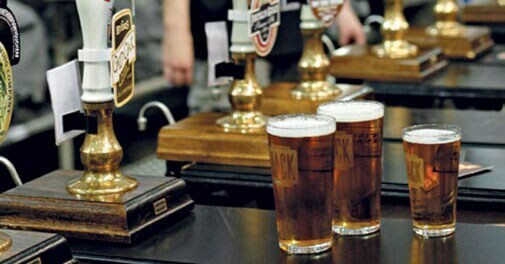 Learn about the most exciting event of the London summer at gbbf.org.uk. There's no party like a street party! Scotiabank Buskerfest is a street performance festival that sees talent from all over the world perform comedy shows, daredevilry, acrobats and circus acts live on the streets of Toronto. Visit torontobuskerfest.com.